Research isn't about asking users what color to make a button. It's about getting to the bottom of what motivates them and drives their behavior and solving real design problems. We design smart exploratory and evaluative research plans that explore preliminary experiences, validate designs, and test digital experiences. We plan, conduct and facilitate a variety of research methodologies including usability testing, card sorting and modeling, persona development, contextual inquiry, and other customer research both in the field and in a lab context. Usability testing is a great tool for evaluating an existing or in-progress design. We've utilized a range of methodologies from exploratory testing, task-based testing, remote usability testing, paper prototyping, and more. A good persona development process is focused on specific functionality, with continued evolution based on additional research and added functional areas of focus. Conduct customer interviews to identify “types” of customer approaches to a specific user experience task. Integrate past customer research to create robust personas. Identify top needs and goals, copy tone of voice and design attributes for each persona. Are fictional characters that tell a story about an archetypal user’s behaviors, goals and expectations. Represent a cross-section of behaviors that, taken together, run the gamut of user behavior. 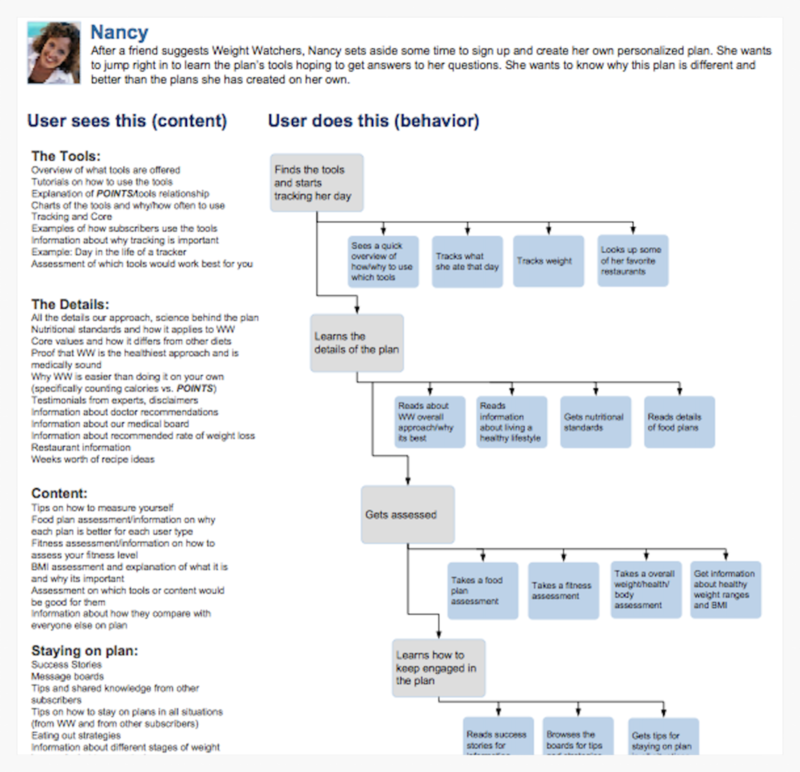 Enable team members to role-play as your users rather than designing based on their opinion of what users want. 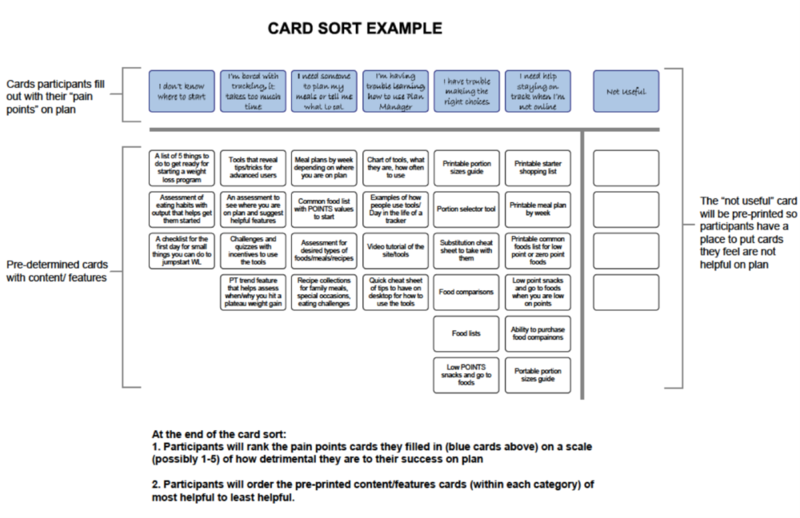 Card sorting is used to understand how users view information groupings for a digital experience. Participants in a card sort organize topics into categories that make sense to them, and help label the groupings.